This month Bendigo kids start counting the sleeps until a special Christmas arrival. But the man in red has nothing on Sophia Swai. Her children in Tanzania are likewise crossing dates off a calendar. They’re waiting for their mum to come home for Christmas. Sophia has been studying in Bendigo for three years. On her own, without her family. This is the sacrifice many international students make for a university education. “My kids are waiting for me,” she says. 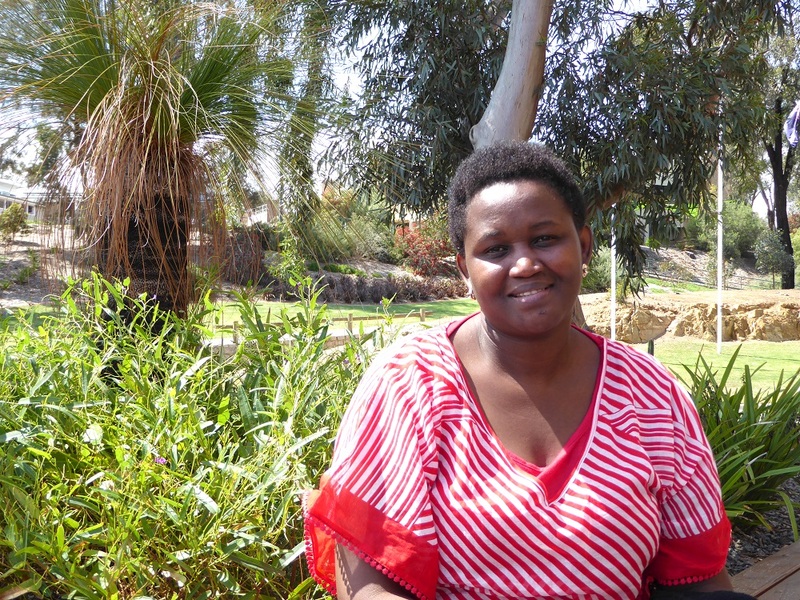 Three years ago Sophia kissed goodbye her husband and five children, now aged 14, 11, eight and twins of five, to pursue a Masters of Community Planning and Development, via scholarship. It was a life-changing opportunity, for herself, her family and many others in her community. “I gain a lot,” she says. “Especially through the negotiation and mediation classes. That subject is very important for me. I’m having to solve a lot of conflicts in my area. Some of those ideas are big, some are seemingly small; all will have an impact on the women Sophia works with. Sophia says much of a woman’s day in a Tanzanian village is spent collecting wood to fuel their cooking stoves. It’s a daily grind that prevents them from taking part in other aspects of community life. In problem solving and decision making and even earning a wage. “I want to introduce energy-saving stoves simply by teaching women to build with mud,” Sophia says. She says cooking stoves are currently hand-built with stones. Fuel burns quickly and needs daily replenishing. Sophia says by teaching these women to build their stoves out of insulating mud, wood could last up to three times longer. She says the time these women save on this essential task could change their lives. “They could then attend community meetings, be part of solutions, and even earn money through initiatives like bee keeping, by making use of the native acacia trees,” she says. The next big step will be making it home in time for Christmas. Sophia is preparing to leave Australia on December 21. After then it will be no more daily skyping, no more crippling homesickness, and no more counting sleeps. what a strong determined woman you are l commend you for what you have done and admire you. Wishing you all the best for the future and ENJOY your Christmas with your family. WELLDONE.